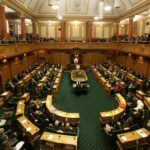 ‘It is great news that the plain packaging tobacco law will be introduced to the House next year, albeit more than three years after the Maori Affairs Committee’s report on how to make Aotearoa New Zealand effectively smokefree by 2025’, said Auckland University law professor Jane Kelsey, author of a Ministry of Health-funded report on the implications of New Zealand’s trade and investment agreements for the Smokefree 2025 policy. Submissions from tobacco companies on the exposure draft of the legislation threatened similar legal action if the plain packaging law was introduced in New Zealand. 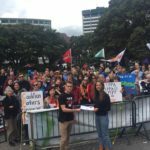 There are risks under New Zealand’s existing agreements, but the legal arguments are not clear-cut. Professor Kelsey said the biggest threat to New Zealand would come from the ability of the tobacco companies to use the investor-state dispute mechanism in the proposed Trans-Pacific Partnership Agreement. The TPPA could also strengthen the intellectual property laws that tobacco companies have relied on. The current negotiating timeline would see the TPPA signed before the legislation was through the House. Malaysia has reportedly proposed a total carveout from the agreement for all tobacco control measures, aside from cuts to tariffs. ‘Hopefully, this announcement means the National government intends to stand firm against the tobacco companies’ threats. 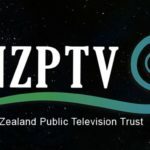 But I remain sceptical, unless and until it announces New Zealand’s uncompromising support for Malaysia’s carveout for all tobacco control measures from the TPPA’, Kelsey said.